Rock stars of the 1960s have begun turning 70, and the aging of a generation that defined its culture by its youth has prompted the sucking of veiny thumbs. I did mine last October, right here, on the seventieth anniversary of John Lennon’s birth. Earlier this month, Joan Baez turned 70; Neil Diamond will do the same on January 24; Bob Dylan will have his seventieth birthday in May, followed by Paul Simon and Art Garfunkel, along with the likes of David Crosby, George Clinton, and Paul Anka. (It’s hard to believe, I know: George Clinton and Paul Anka are the same age.) As susceptible to temptation as the next thumb-sucker, I will probably end up writing more about a group of artists about whom too much has already been written. 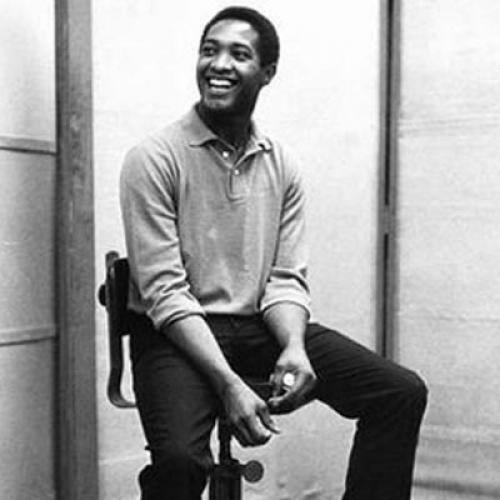 Meanwhile, Sam Cooke, the sensational pop and soul singer of the late ’50s and early ’60s, would have turned 80 on January 22, and I suspect that the occasion will go largely unnoticed. This is a small tragedy, though one infinitely less tragic than the fact of Cooke’s early death at age 33 in December 1964. (Cooke was shot to death by a motel manager in a confrontation, the facts of which are unclear.) It is a lesser misfortune of Cooke’s abbreviated life to have been born ten years earlier than the rock stars of the 1960s. Neither a raucous rock ‘n’ roll originator like Chuck Berry and Little Richard, nor an overtly cerebral counter-culture figure like Dylan or Lennon, Cooke was a highly original artist whose story falls outside the standard narrative of rock history. First established as a member of the Soul Stirrers, the pop-gospel group, Cooke had pillow-book looks and charm, as well as talent, and he exploited them to become the first great black singer after Billy Eckstine to be a teen idol. He had most of his biggest hits with bouncy nonsense like “Cupid,” “Only Sixteen,” “You Send Me,” and “Twistin’ the Night Away,” and it’s easy to dismiss this music as silly commercial pandering. It was silly and commercial music, absolutely, but it was hardly pandering for a black man of his time to dare going after the kind of success as a pop heart-throb granted far less talented, pretty white boys such as Frankie Avalon and Fabian. Sam Cooke could sing, not just pose. For him, selling out was a demand for equal opportunity. Cooke left a rich body of music, including his early work with the Soul Stirrers; his fine, smooth R&B recordings; and couple of strong live albums, including one recorded at the Copacabana nightclub in New York. Among the multiple high points of the Copa show is Cooke’s deeply soulful take on Dylan’s “Blowin’ in the Wind,” which, fortunately for posterity, Cooke also did in one of his few surviving performances for television, on the pop music show Shindig in September 1964, just two three months before he died.